Having a copious amounts of app data at my fingertips, I wanted to see how these players are performing lately and if there is anything else we can learn. 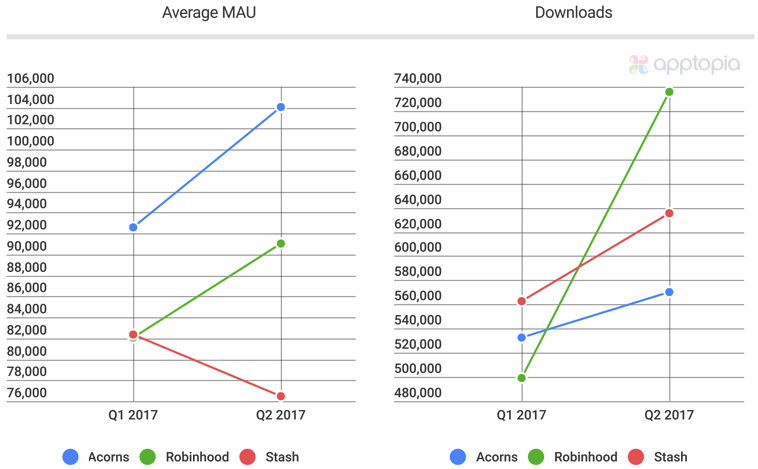 One thing to note off the bat is that all three apps grew downloads from Q1 to Q2 but Stash lost a chunk of monthly active users. This is important to note because to the uninitiated, more downloads means more users but that is simply not true. We saw a similar pattern with Uber drivers where the Uber Driver app was gaining downloads but retention took a serious hit. Achieving downloads is a small portion of the battle. Retaining users and growing their lifetime value is absolutely key. 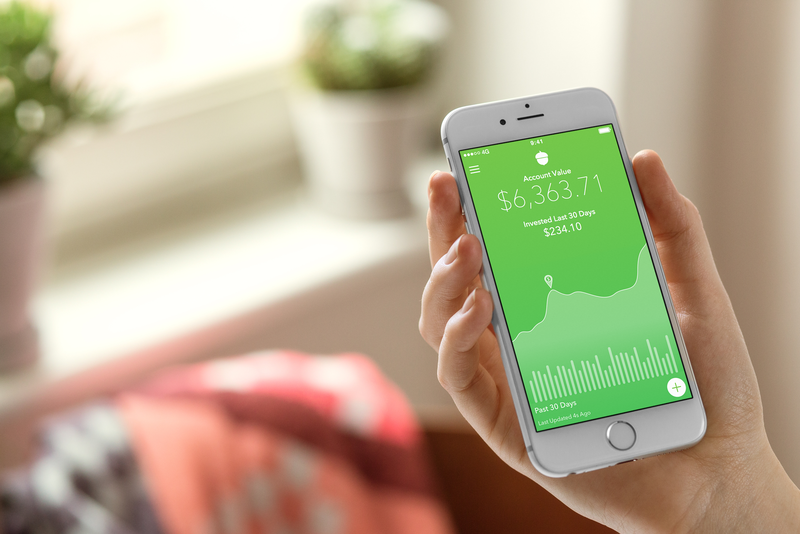 While Robinhood seems to get the most media coverage (they have a good story), Acorns remains the leader in active users. You will notice in the chart below that these apps are pretty similar in terms of retention, engagement and demographics. The thing that stands out immediately is the large percentage of male users. Across the three apps, an average of 70% are male. While this is concerning from a societal perspective (the app users of other financial apps are also mostly male too), it also means that each of these apps has tremendous room for growth if they can acquire more women as users. 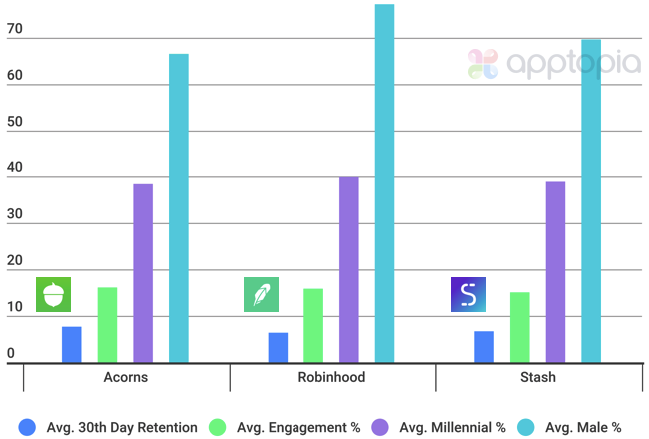 Looking at the other data points, Robinhood has the lowest average 30th day retention but also rakes in the most downloads. This is typical to see as they are casting a wider net. About 40% of each app’s user base is made up of millennials which Apptopia views as those aged 19-34. Interested in doing your own app economy research? Please contact us or schedule a demo.